It’s stretchy pants season, y’all. Thanksgiving is just a few days away, which gives your business the perfect opportunity to get festive and join in on the fun. Whether it’s through a social media contest, creative giveaway or engaging video, there’s so much you can do to get your audience excited about the holidays. Thanksgiving is all about gratitude and giving back to the community. TD Bank hit the nail on the head with this powerful Thanksgiving campaign by doing just that. The company selected 24 customers in 24 different communities across the U.S. and Canada and gave them each $30,000 to accomplish their mission in just one day. These missions to help the community varied from feeding the homeless to installing a wheelchair accessible ramp to a woman’s home. TD Bank captured all the feels in the video below, building that brand trust and creating emotional connections between the brand and the consumer. A Thanksgiving win! 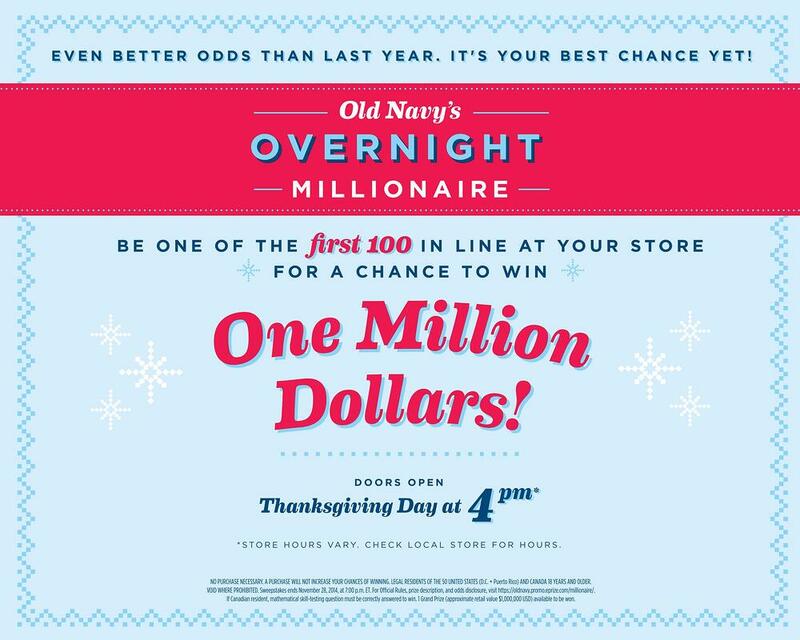 Old Navy gave the first 500 shoppers in line at every store in North America a chance to win one million dollars on Thanksgiving, selecting the winner on Black Friday. The hashtag #OneMillThrill got customers conversing online about this huge giveaway, telling stories about their experience. This campaign was great for increasing brand awareness, building customer anticipation and promoting what Thanksgiving is all about— giving back. This food, drinks and grocery delivery/pick-up app launched a “Friendsgiving On-Demand” campaign, featuring a list of mouthwatering Thanksgiving holiday recipes put together by moms. Of course, each ingredient found in these various recipes was available for purchase through the Postmate’s app. This campaign was a fun and festive way to get consumers excited for the holidays, inspiring them to try new recipes they could attempt to create through the push of a button. Genius! This one is an oldie, but a goodie. Back in 2001, following the 9/11 tragedy, Robert DeNiro and Billy Crystal starred in a commercial that aired during the Macy’s Thanksgiving Day Parade. This comical ad was part of the “NYC Miracle” movement, inspiring consumers to visit New York City for the holidays. As you can imagine, the tragic events that took place that year negatively affected the number of travelers to the city. This campaign was great for community building, portraying a fun, uplifting message while relating it back to the holidays. This one is my personal favorite. 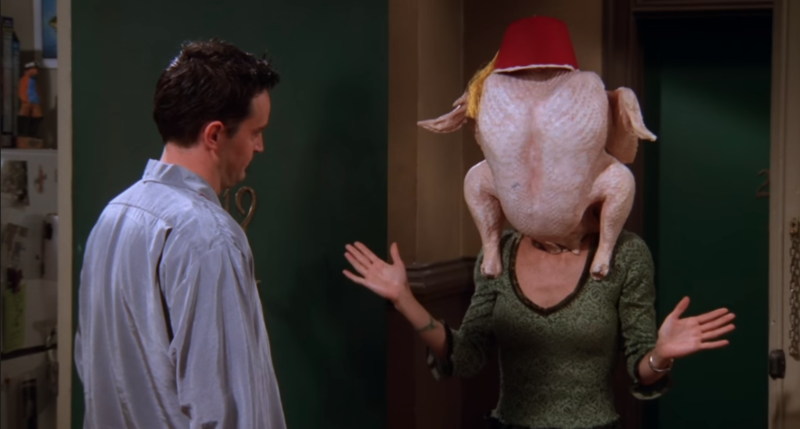 HotelTonight blew us away with their pure hilarious Thanksgiving campaign. The hotel booking company put a humorous twist on the holidays by poking fun with the all-too-relatable struggle that comes with the holidays: crazy family members. The slogan “visit, don’t stay” was a fantastic way to creatively encourage consumers to book a hotel through their site rather than deal with the madness that comes with staying with your crazy relatives, who you love but may need space from. 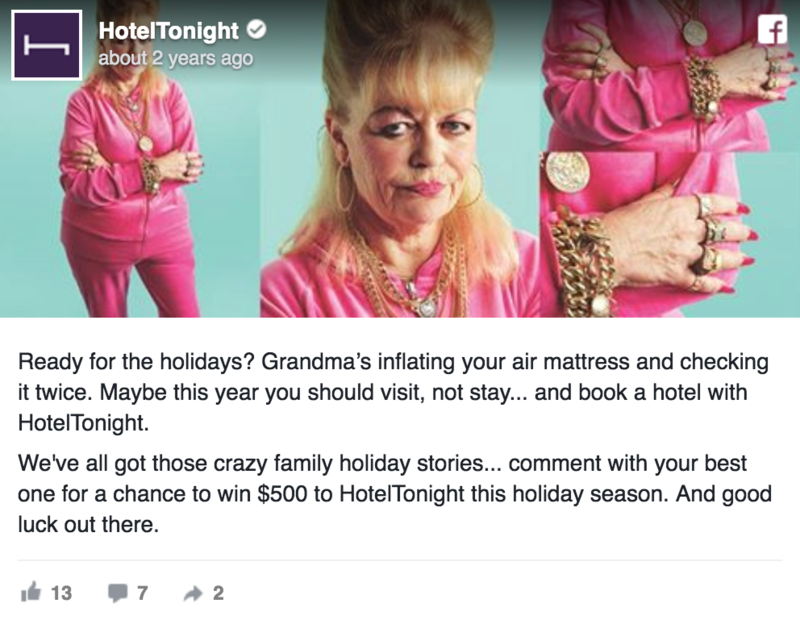 HotelTonight took their campaign even further by hosting a contest on Facebook, inspiring users to share their craziest family holiday story for a chance to win a $500 credit to HotelTonight. This campaign was a creative way to get users engaged by pushing a message that people can relate to and laugh about, all while relating it back to their product. 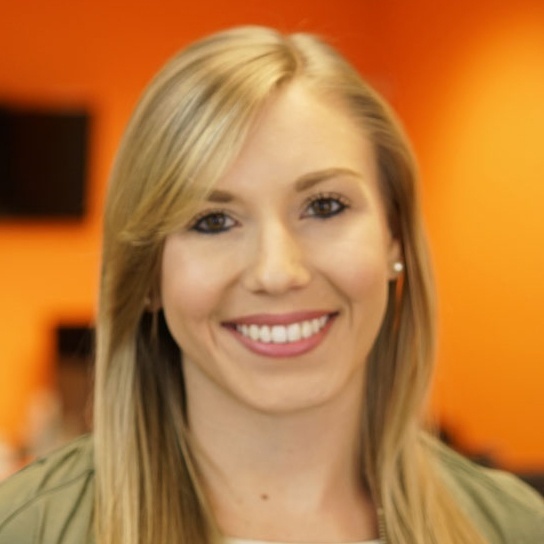 Thanksgiving is the best time to evoke emotion with creative content. Whether you go the mushy Hallmark or humorous route, there’s so much you can do to grab your audiences’ attention this holiday season. So, go on and get festive. We hope these examples sparked some ideas for your business. And on behalf of our entire Impulse Creative, have a wonderful and safe Thanksgiving! For more marketing inspiration, download our Beginner’s Guide to Inbound Marketing for all the tips and tricks you need to help grow your business.